How Do I Clean Up After Windows Update? - Ask Leo! What Windows Update leaves behind isn't trash at all, but rather files with a specific purpose. 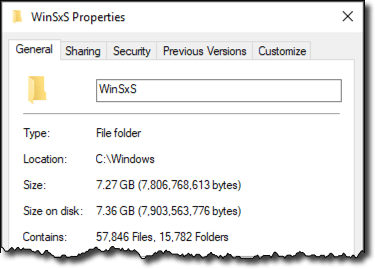 In that same vein, the System File Protection (SFP) feature introduced several versions ago keeps a set of duplicate files that can be restored if the system detects that the original file in use has somehow been damaged. This is considered a security feature, as one of the ways malware commonly operated in the past was to hide inside system files by modifying them. SFC detects this and replaces the modified file with the original. « Previous post: There’s no 100% certain way to test a site before you visit it to determine if it is malicious or contains malware that will infect your machine. 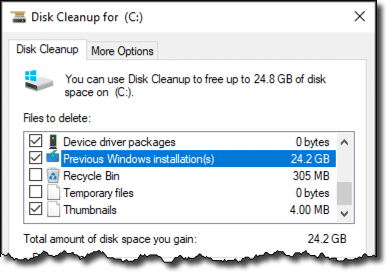 Windows cleanup looks for everything they determine to be potentially unnecessary, such as temporary files, log files, trash etc. as well as older Windows installations. Make sure you’re seeing the full size for Windows.old AND it’s sub-folders. 7GB seems small. 26GB seems about right. Sure 7GB on a 500 GB to 1 TB drive is trivial. But I have been getting a lot of questions from users of bottom end hand held machines that only have 32GB of drive space. 7GB is around 20% of the drive. Even a brand new machine often does not have enough free space to do the major Spring / Fall update! I managed to get my Windows 8.1 tablet upgraded to Windows 10 with a lot of juggling and then when Windows allowed it after a month, I got rid of all of the leftover installation files, but I would never attempt to get into explaining how to do this to an average user. And it was so much work, I’ve stuck with my original Win 10 installation without taking further upgrades. 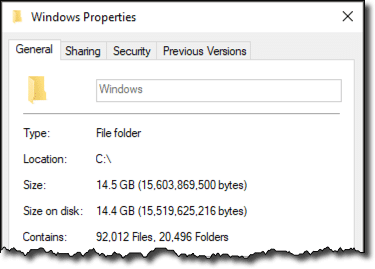 Why does the Windows 10 updates keep trashing my video drivers? I have an HP Z1 all in one desktop. How can I stop windows 10 doing constant upgrades on my wife’s Dell laptop. It takes hours to do and then sometimes says it failed.